How do you upgrade and reload your pay2d card basic? 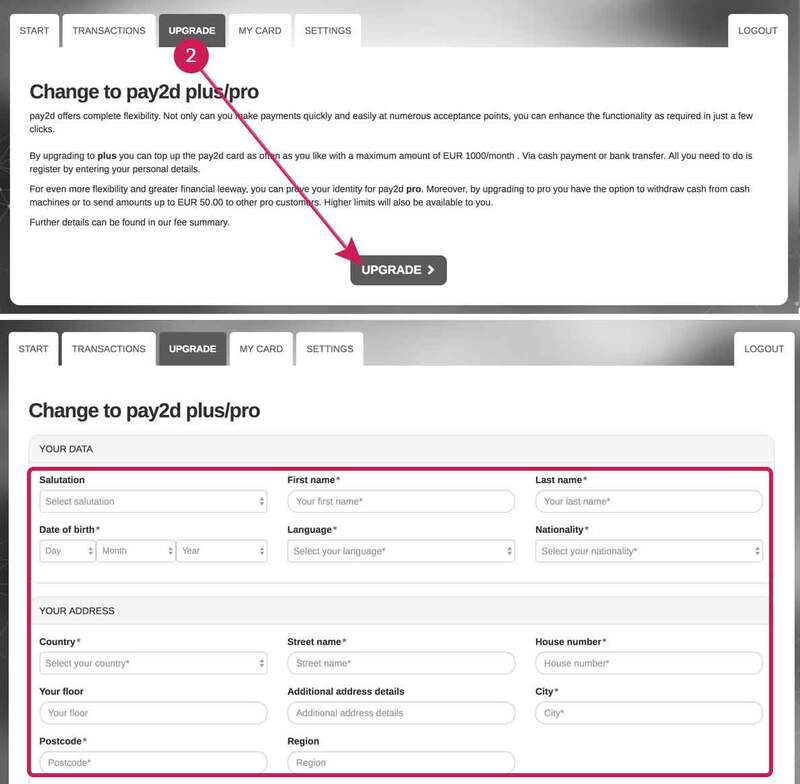 Click ‘UPGRADE’ and fill in your details (correct details and names*). In order to verify your account, transfer at least € 20, – via iDEAL or Sofort. **. Go to the ‘TOP UP’ tab. Select iDEAL or Sofort, the amount you wish to top up and your bank. Please note: the first upgrade must be done from your private bank account. We will check this with the last name in your pay2d account. * If the names do not match, we can not process the transaction directly. ** After the first upgrade via IDEAL / Sofort, your account is verified and has the status ‘plus’. You can now top up in the store and through bank transfer. Please keep limits in mind! All limits can be found here. Log in to upgrade now!